After two weeks off from the gym and all the holiday eating, we're ready get right back on our Clean Eating train! Choo chooo!! 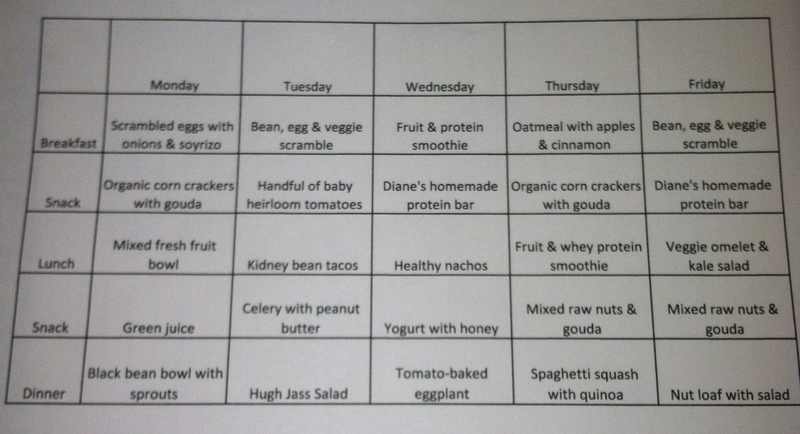 :) Here's my rough meal plan for this week. IHope you can read it. I say this is rough because I do take into account for days that I'm training heavier and throw in some extras on those days. I also sometimes will have a protein shake before I go to bed. Coffee is a given every morning, and then water the rest of the day (about 100 ounces). 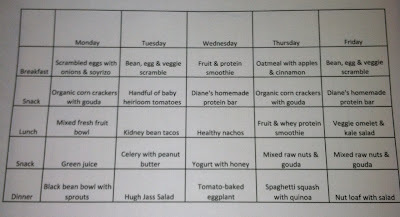 If you have a meal plan, I'd love to see it! Just post it on my FB wall. Happy eating!